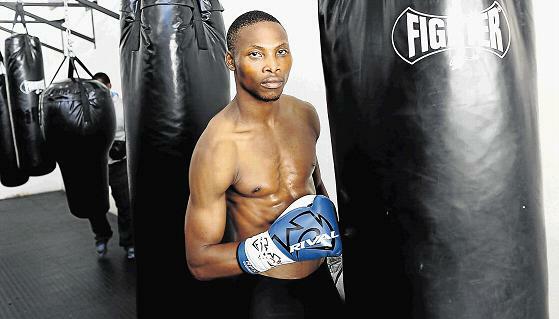 A calf injury has forced Zolani Tete to postpone his WBO World Bantamweight title defence against Omar Narvaez. Tete, 29, was due to defend his crown at London’s Copper Box Arena on Saturday 10th February, but will now make his mandatory defence against the Argentinian at a later date in 2018. “I’m hugely disappointed to have to postpone my fight with Omar Narvaez.” Said Tete. “Unfortunately I picked up a calf injury that has severely hindered my training and the only option was to postpone the fight. “I train as hard as I fight so there is always a risk of picking up injuries. World Championship defences are incredibly tough and it is unsafe fighting when you are not fit. Narvaez is a two-weight World Champion so it is vital that I am fully prepared for him. Frank Warren’s bumper ‘Untouchables’ show still features some of the best British talent around, with Bradley Skeete, Anthony Yarde, Daniel Dubois and Zelfa Barrett all looking to make statements to kick-off a huge 2018. British Welterweight Champion Bradley ‘Super’ Skeete (27-1, 12 KO’s) faces IBF Inter-Continental Welterweight Champion Laszlo Toth (25-3-1, 17 KO’s) for the Vacant WBC International belt. Skeete is ready to prove his World class credentials and knows that a win on February 10 will take him a step closer to a dream World Title shot. “This is an opportunity to add another belt to my collection,” said Skeete. “Toth has won the IBF European and Inter-Continental titles and should provide a good test for me. I have strong ratings with the WBO and IBF, winning this title will push me up the WBC rankings as well. Ilford Light-Heavyweight Anthony Yarde (14-0, 13 KO’s) defends his WBO Inter-Continental and European Light-Heavyweight titles against Frenchman Tony Averlant (26-9-2, 5 KO’s). ‘The Beast’ is determined to pick up from where he left off in 2017 after becoming the first man to stop Nikola Sjekloca with a heavy-handed display which last less than four rounds. “I enjoyed a successful 2017, winning three belts and stopping all five of my opponents,” said Yarde. “2018 is going to be an even bigger year but whatever is meant to happen will happen, I’m not in any rush. My job is to keep my head down, work hard and enjoy the journey. Heavyweight sensation Daniel ‘Dynamite’ Dubois (6-0, 6 KO’s) defends his Southern-Area belt against Kent’s DL Jones (8-0-1). The Peacock Gym powerhouse claimed the title after knocking AJ Carter out cold in the opening round with a massive right hand at the Copper Box Arena back in September and is promising to start 2018 with another explosive KO. “I’m ready to start 2018 with a bang,” said Dubois. “I’m working hard to be the best that I can possibly be and I’m feeling good. Everything is going great, I’m just staying in the gym, staying focused, and staying dedicated to it. English Super-Featherweight Champion Zelfa ‘Brown Flash’ Barrett (19-0, 12 KO’s) fights for the first time in the capital when he takes on Spain’s Ivan Ruiz Morote (18-8-1, 7 KO’s) over ten rounds. Manchester’s Barrett is closing in on a salivating showdown with rival Super-Featherweight star Lyon Woodstock. “I rate him as a person,” said Barrett. “He’s a nice guy. He’s a good fighter. Anybody in my weight division, they all can get it. So I’ll just say he’s a good fighter and I respect him as a person. Hard-hitting Southampton Super-Welterweight Joe Pigford returns to the ring after a brutal KO win over Aaron Morgan in May 2017; all-action Welling Super-Featherweight talent Archie ‘Sharpshooter’ Sharp aims to improve his unbeaten record to 12-0; gifted Southampton Featherweight Ryan ‘The Piranha’ Garner looks to get his career back on track when he fights over four rounds; Ilford Welterweight Hamzah Sheeraz returns to the scene of his impressive TKO debut win over Duane Green; stylish Ilford Super-Middleweight Umar Sadiq and former Team GB Flyweight Harvey Horn both look to go 2-0 while Beckton Lightweight and Anthony Yarde gym mate Mohammed Bilal Ali makes his professional debut. For any enquiries regarding ticket refunds for this event please contact your original point of purchase.